PlayStation Now Expands Library For Recent Titles | Nerd Much? If you’ve been getting a little bored of the retro games on PlayStation Now, perhaps on your fourth playthrough of BioShock Infinite, you are in luck. Break out the Mountain Dew and the Doritos, because far more recent titles like Uncharted: Thieves End and Rise of the Tomb Raider are coming to the online streaming service. The new games will launch later this year and the private beta for PS4 game support will be coming in the following weeks. If you’re already a subscriber to the service, you get first dibs of course. If you happen to be a part of the chosen, be sure to check your email just in case. Sony hasn’t specified which games will be included, but the PlayStation Now purchasing page includes images of all sorts of fun games originally on the PS4, like the ones mentioned above. Not only that, you can get a 7-day free trial if you’re not sure you’ll like it or use it very often. PlayStation Now is a paid streaming service, $19.99 a month, that allows you to stream games from Sony’s library of games. Thus far there are over 400 titles, and you can play them across your devices with the cloud save feature. 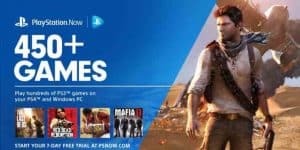 The added more recent titles certainly help compensate for the price tag, as Sony is competing with Xbox Game Pass, which costs $9.99/month instead. 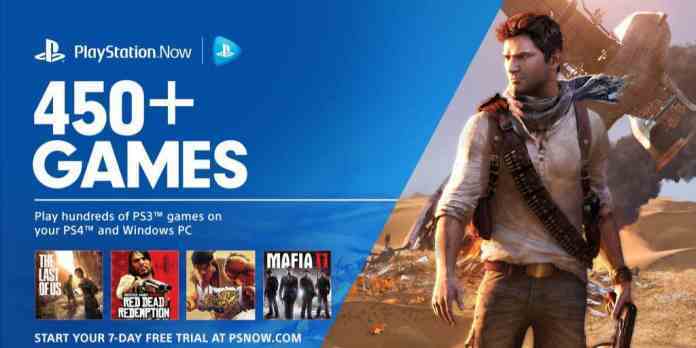 But do you think these new games will make PlayStation Now worth it? Let us know in the comments below.